As you continue to finalize your college list and contemplate which school is your first choice, you may want to consider graduation rates. It can be often overlooked, but obstacles such as illness or financial distress can and delay graduation. According to one study, 59% of students who started at four-year schools in the fall of 2006 graduated by 2012. Please find the ten schools with the highest graduation rates below, and see this article for more details. 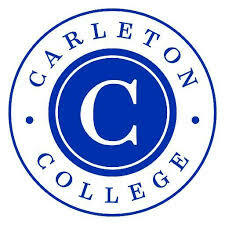 Kudos to Carleton College for topping the list! If you feel like you missed the boat on early applications, think again! There are lots of schools whose Early Action and Early Decision deadlines are Nov. 15 or even Dec. 1, which gives you ample time to get an application out to a dream school. 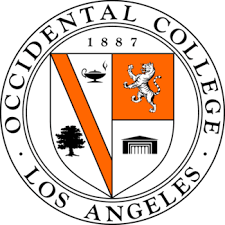 Occidental College is one example, and accepts the Common App, requiring only four additional questions to complete the application. Take a look at the questions below to see if you're up for the challenge! 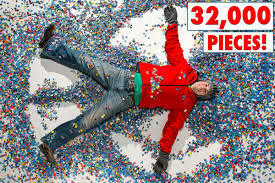 There are thousands of colleges in the United States, and trying to decide which one is the best fit can feel a lot like tackling an enormous puzzle. Fortunately, you've probably narrowed down your list by now, and would be relatively happy attending any of the schools you're applying to, but what if you end up getting accepted to a few different schools. First off all, it's always nice to have choices, and secondly, which college you decide to attend might just come down to whether to stay close to home or to travel farther afield. If considering the latter, this article gives some great insight into what you might have missed staying close to home. In the end, there's no right or wrong decision, and your college experience will be what you make of it. Posted in News | Comments Off on Where Should I Go to College? Can I Submit More Than One Version of my Common App Essay? Now that many of the early application deadlines have passed, students may be wondering whether or not they can change their Common App main essay if/when they submit applications to other schools. While in the past the number of drafts submitted has been limited, it is now possible to submit a different version of your essay each time you submit an application. This can give students some necessary breathing room when wanting to tailor their main essay to a particular school or program. Click here for answers to other frequently asked questions about applying via the Common App. Posted in News | Comments Off on Can I Submit More Than One Version of my Common App Essay?